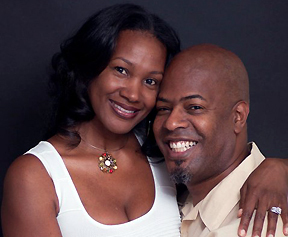 The Mobile Game Lounge started in 2011 when Cornel and Jeannette Stewart set out to purchase a RV for the family. They wanted the RV primarily for family trips but they realized that it would sit dormant for 80% of the time and they wanted to find a way for it to make money. They wanted a business that would utilize the RV so they looked into the mobile gaming franchises. They were impressed by the mobile gaming industry but wanted something different than current video game trucks. They wanted an upscale video game truck , that met the needs of adults along with kids and provided mobile gaming to communities not currently serviced by the mobile gaming industry. After a lot of investigation they postponed their RV purchase and decided to build their own upscale mobile game lounge. So after a long trips across the country, partnerships with electricians and interior decorators, nine thousand trips to Home Depot and number of sleepless nights, The Mobile Game Lounge video game truck was born.